YAMAGATA - Sara Takanashi remained winless but matched her best result of the season with a second-place finish in Friday’s ski jumping World Cup competition. 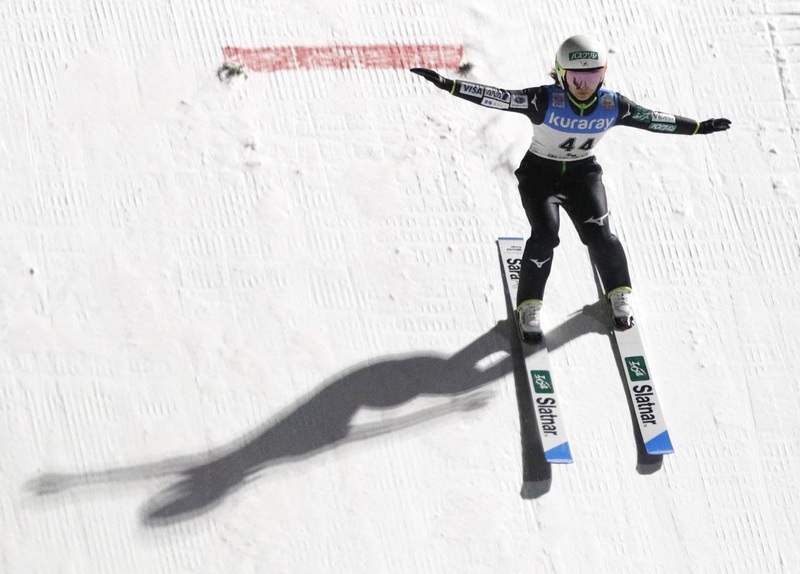 The 22-year-old Takanashi, who dominated the women’s World Cup circuit last season, scored 203.5 points for her two jumps to edge Austria’s Katharina Althaus, with 203.2, into third place. Daniela Iraschko-Stolz of Austria won the meet’s first competition with 205.2 points at the Zao resort. Althaus leads the World Cup standings with 590 points, followed by Norway’s Maren Lundby with 488, while Iraschko-Stolz is third with 414. Takanashi, whose last podium finish came in December, is fifth with 360. Yuki Ito, who is 13th in the season standings, finished ninth.